Scotland’s magical Celtic Rainforest meets the sea. Perched on the shores of Lochinver, this woodland walk follows a mix of broad-leaved and coniferous woodland down to coastal bays. 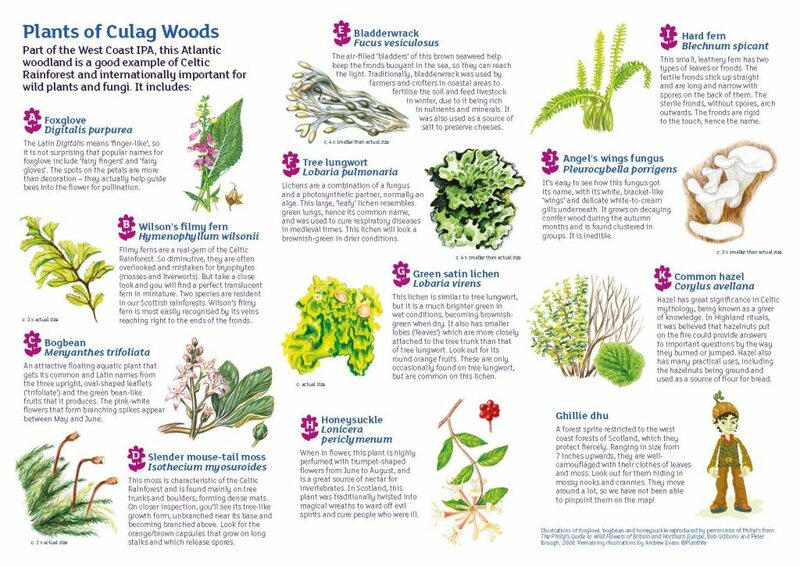 This Atlantic woodland is home to a rich diversity of unique small plants that cover branches, trees and boulders. It is these moss, liverwort and lichen species that make the West Coast IPA one of the best places in Scotland for wild plants. Start from the ‘Woodside’ car park, found at the southern end of Lochinver (grid reference NC093215). 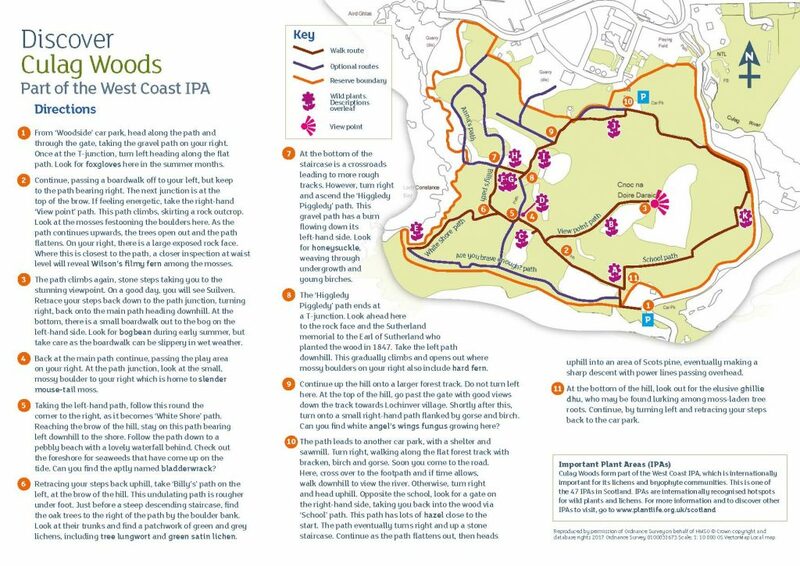 2-mile circular walk, allow 1–2 hours. This is a moderate circular walk on narrow gravel paths with steep sections of rocky steps, which may become muddy in places. Sturdy footwear is essential. 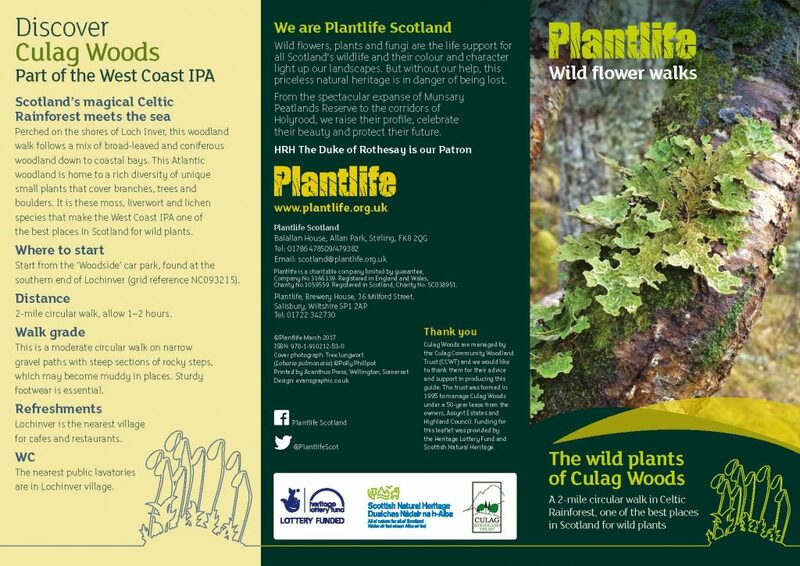 You can click here or on the image below for the pdf version of the Plantlife Lichen walk Folder.